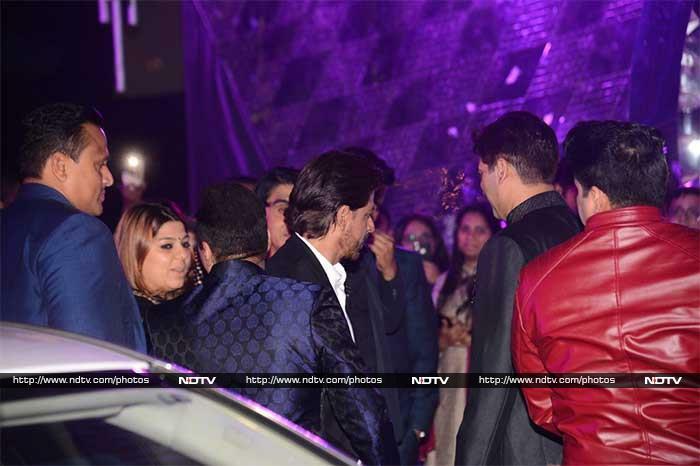 Shah Rukh Khan, who arrived solo at the pre-wedding function, was spotted in a black blazer and pants which he paired it with a white shirt. 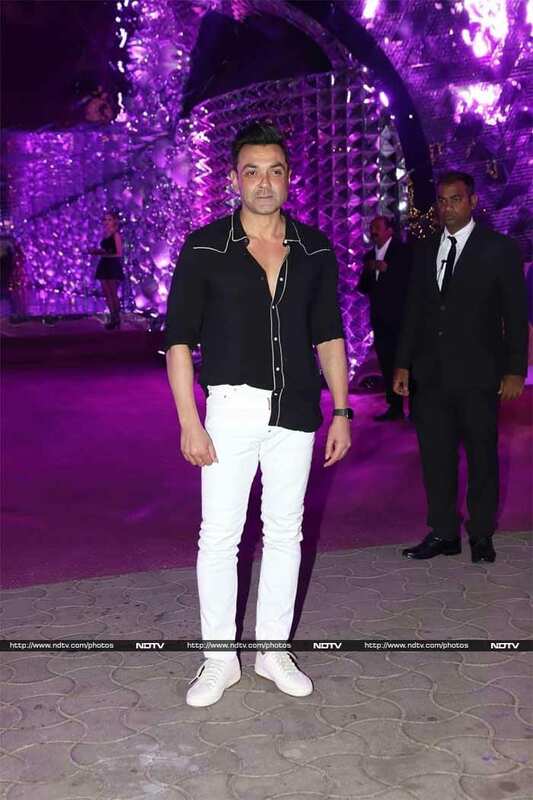 Bobby Deol was casually dressed for the occasion. 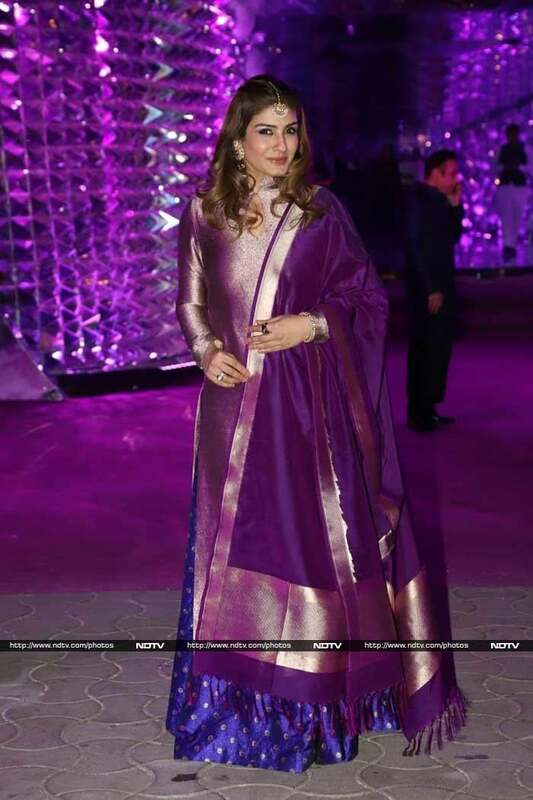 Raveena Tandon looked gorgeous in a violet and blue traditional outfit. Nora Fatehi looked stunning in a pastel lehenga. Sonu Nigam was photographed with his wife Madhurima Nigam at the sangeet ceremony. Zayed Khan attended the sangeet function with his wife Malaika Parekh. While Zayed was dressed in black kurta and pyjama, Malaika wore a saree. Ronit Roy checked in to the party with his wife Neelam Singh. Aahana Kumra looked stunning in a multicoloured dress. We also spotted Fashion actor Arjan Bajwa at the pre-wedding function. Vindu Dara Singh's plus one was his wife Dina Umarova.